Al Dente: Hunter Chicken is!Hunter Chicken IN!The Wages of DIN(ner)! Welcome back to Al Dente and back, back across the country to my previous kitchen. Cast your minds baaaaaaaack. Anyway! Chicken! It’s like delicious, protein heavy lego! You can all kinds of stuff with it and I like to cover it in bacon and cheese and digest it over 6-8 hours following it being cooked. Shall we find out how? Yes, let’s! Okay then! Victor! -Cathedral city cheddar which is our usual default. It’s good and they do an excellent low sodium version that still tastes like cheese and not like compromise, if compromise was wallpaper that had somehow become cheese. A)Chicken breasts. Yummy. Git easy to cook. Put them in a tub the night before in the fridge and they’ll have defrosted by the time you’re ready. B)Plastic tub. Because the love of my life is a genius her Kitchen Supply Fu is strong. However, we still top up every now and then and when we go and buy new kitchen tubs, there’s usually delicious Chinese food in them for free! C)Barbecue sauce. Oh England. My love of Barbecue Sauce is so strong that even Marguerite, at times, has looked askance at me. Barbecue sauce done right, and this Heinz stuff is pretty good, is sticky, tangy joy. It will enhance a lot of meals but this one in particular it makes Jumbo Delish. A term the Roux family taught me. When I trained with them. In my head. It may have been a dream. Know what ISN’T up there? We all know why, Squash. Anyway! Marinating is really easy for this recipe. First, do it 2-6 hours before you make the food. 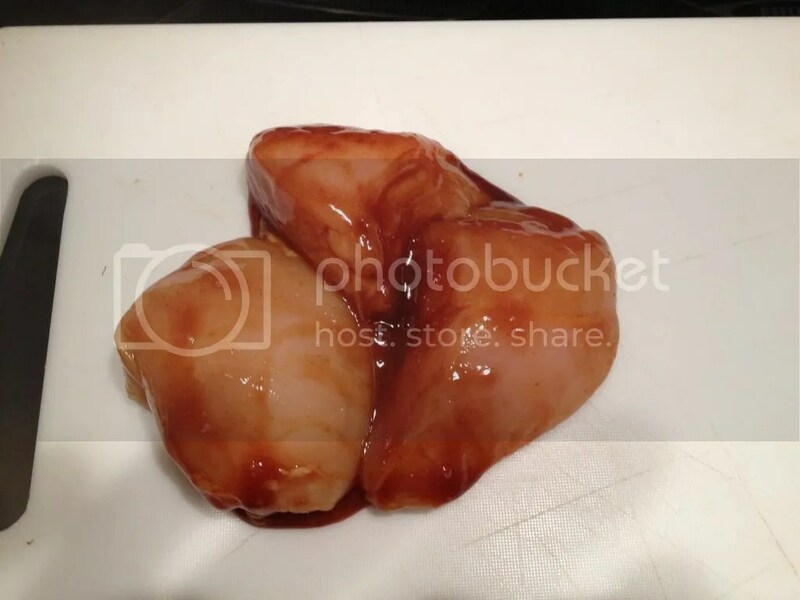 Take your clean plastic tub, put the chicken breasts in it, spray some barbecue sauce over the top, close the lid. Now, pick up the tub and boogie. Seriously, shake it and the best way to shake it is to shake you. Find something you want to throw down with for a few minutes and strut, Batusi, Dougie, foxtrot, whatever grabs you. When you’re done, you will not only have covered the chicken in the sauce but you’ll have burned off at least some of the calories it will put in you. Insta win! Set your oven to a cruising altitude of about 20,000 feet. Or 200 degrees C the magical temperature at which most things cook. 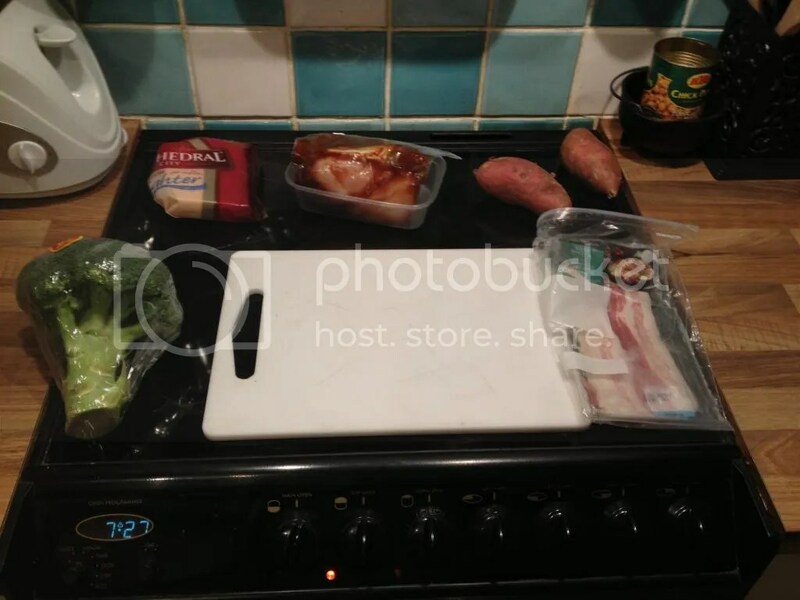 Now, once your chicken is marinated, take it out and lay it on an oven tray. This bit is both messy and FUN. Wrap the chicken in a piece of bacon, crossing the ends if you can to make sure it at least says sort of in place. 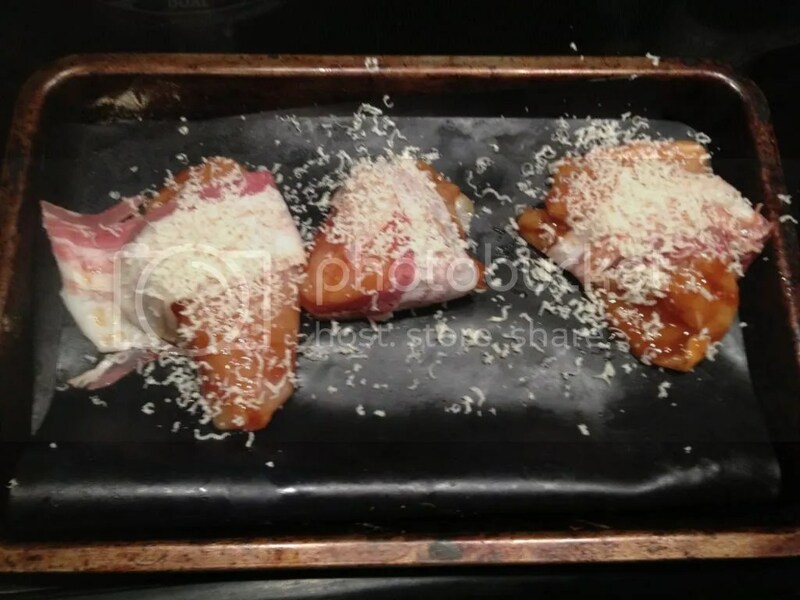 Once that’s done, place the chicken on the tray and grate some cheese over the top. Once that’s done with all your chicken. Put it in the oven. Now, boil the kettle. Make yourself a cup of tea or coffee and, unless you have the same ability to boil exactly the amount of water neded for 89% of a cup of tea (My blessing, my curse) then you’ll have some left. Put a pan on the hob. Put it on a low heat. 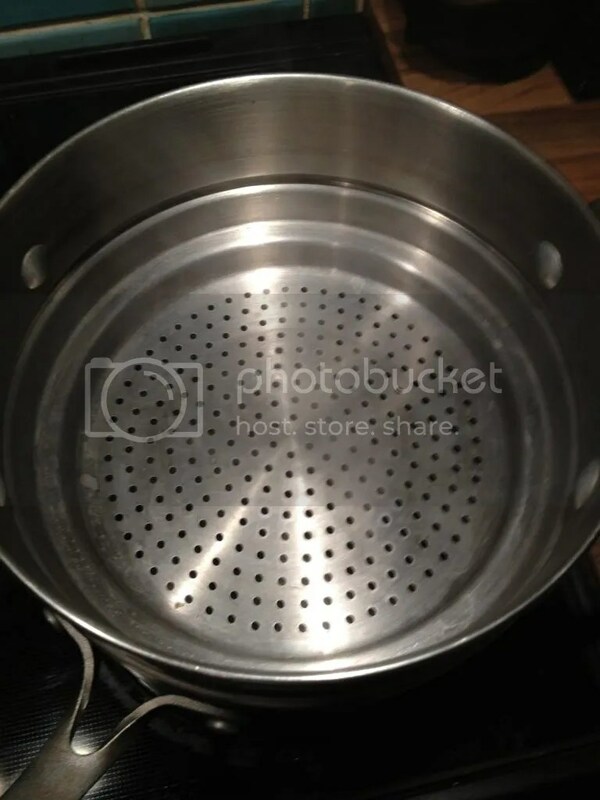 Water goes in the pan. Shark goes in the water. No, wait I’m getting ahead of myself. If you have a steamer, put that over the top, then chop the broccoli. Don’t be especially precious about this; it can be nice big chunky lumps, stem and leaves optional. Then, put a lid on it and set a timer for twenty minutes or so. Next up, when your timer is down to about 7 minutes carve two intersecting lines into your sweet potatoes and nuke the crap out of them for about 3-4 minutes. You’ll be able to tell when they’re done because they’ll be really soft. You’ll be able to tell when they’re overdone because you’ll find yourself considering Sweet Potato spackle as a wall colour choice with surprising, carbohydratey upsides. Check on the broccoli at the same time. Is it bright green? Like, Batman villain/Christmas green? Hurray! If a knife or fork can go through it easily, it’s done. If it’s still tough, give it a few more minutes. If it’s sort of grey mush that looks like a rushed drawing of broccoli? Boil some peas instead. It’s a kindness. Now, when you take the chicken out, this happens! Look at the delicious runny goopy loveliness there. And then when you serve the broccoli and sweet potato too it looks like this! The health. TASTE THE HEALTH. And that’s the thing, this is a pretty decent meal. 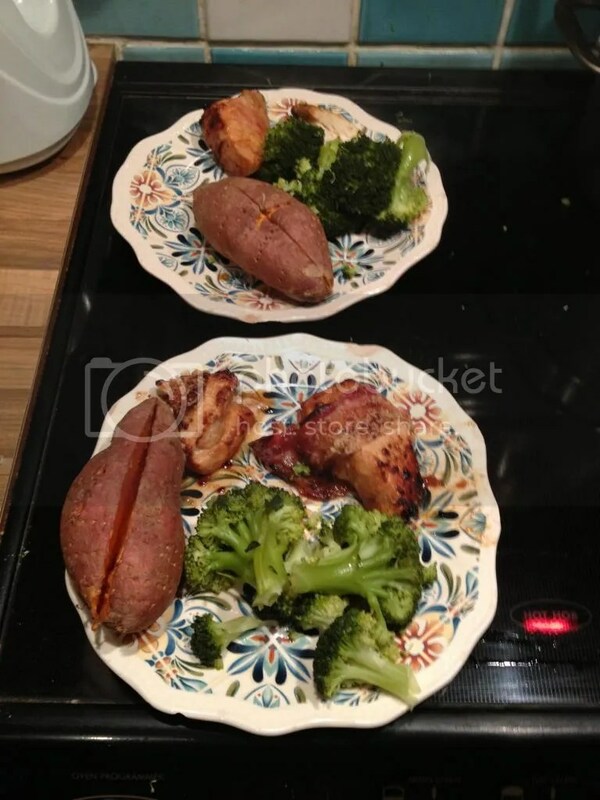 The sweet potato gives you ridiculously healthy carbs, the steamed broccoli gives you whatever the hell broccoli gives you (Let’s say Vitamin Good For You) and the chicken is protein wrapped in protein. Provided you’ve not gone wild with the cheese, and you really won’t have, trust me, this is a real winner. 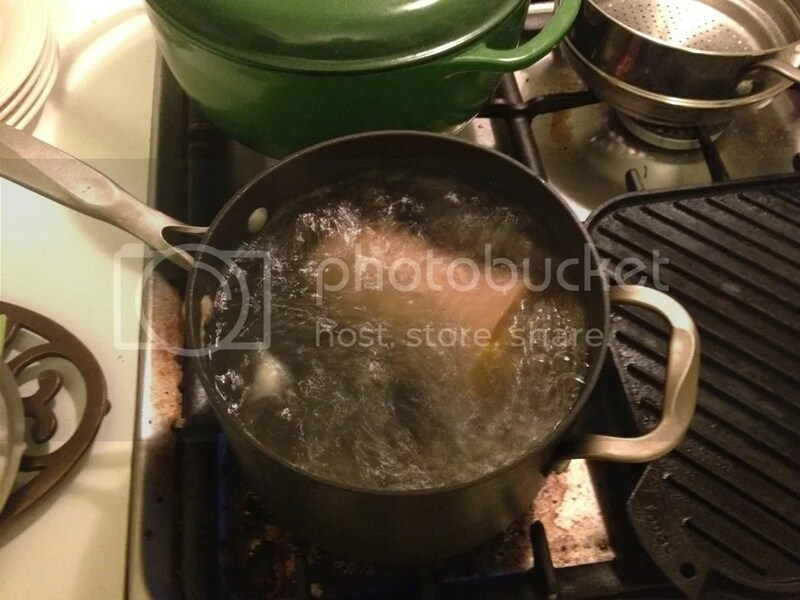 -Butterflying the chicken and placing the cheese inside it. 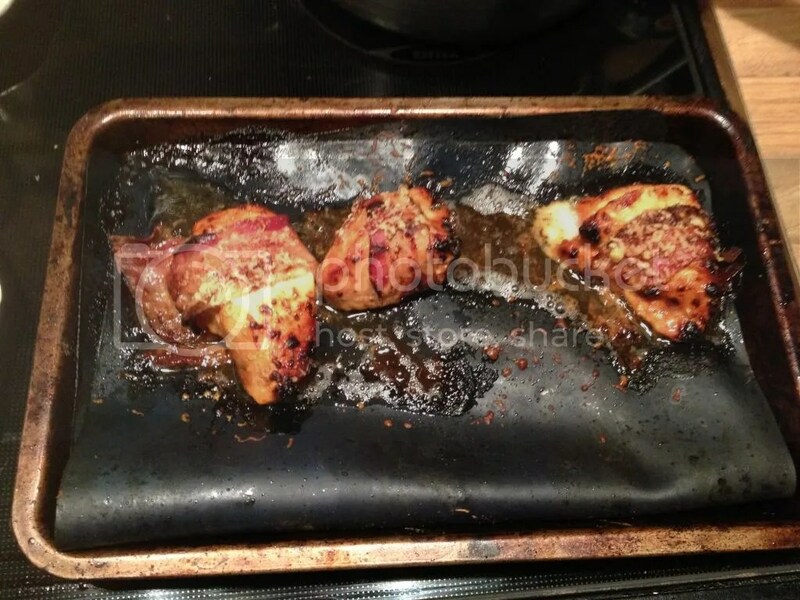 Or, as I like to do, inadvertently slice your chicken breast in half and use the bacon to sort of tie it together. There’s loads of stuff you can do with this. Try it, experiment with it (I’ll bet veggie bacon and a quorn fillet would work for a start) and most importantly, eat it. It’s great.